This pair of 18KT yellow gold stud earrings showcases eighteen round brilliant cut diamonds of G-H colour and SI2 clarity grade. 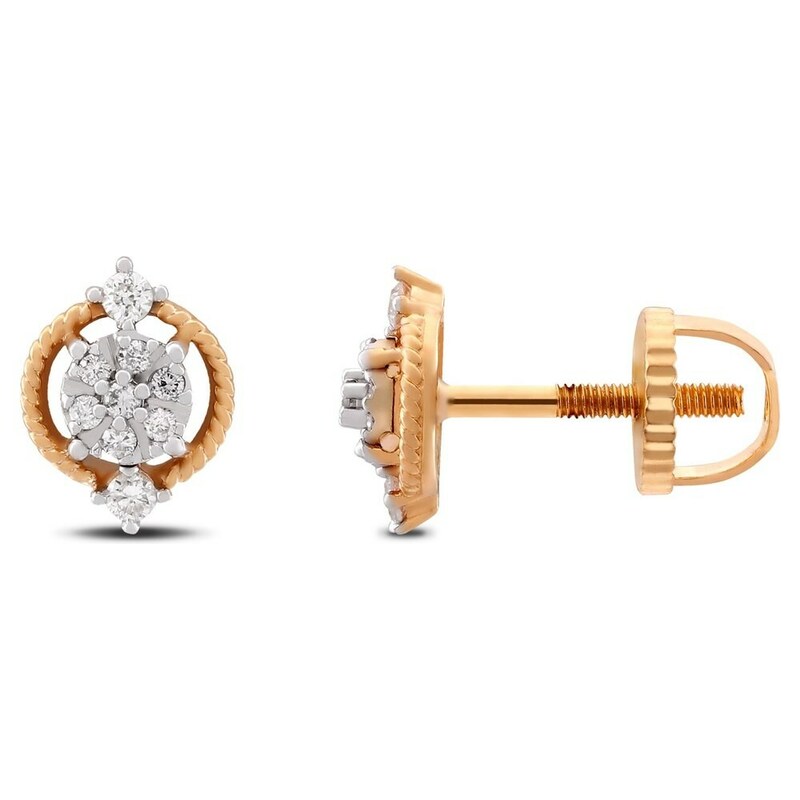 The stud earrings feature a circular shape. The circumference of the circle features a twisted-rope like design. 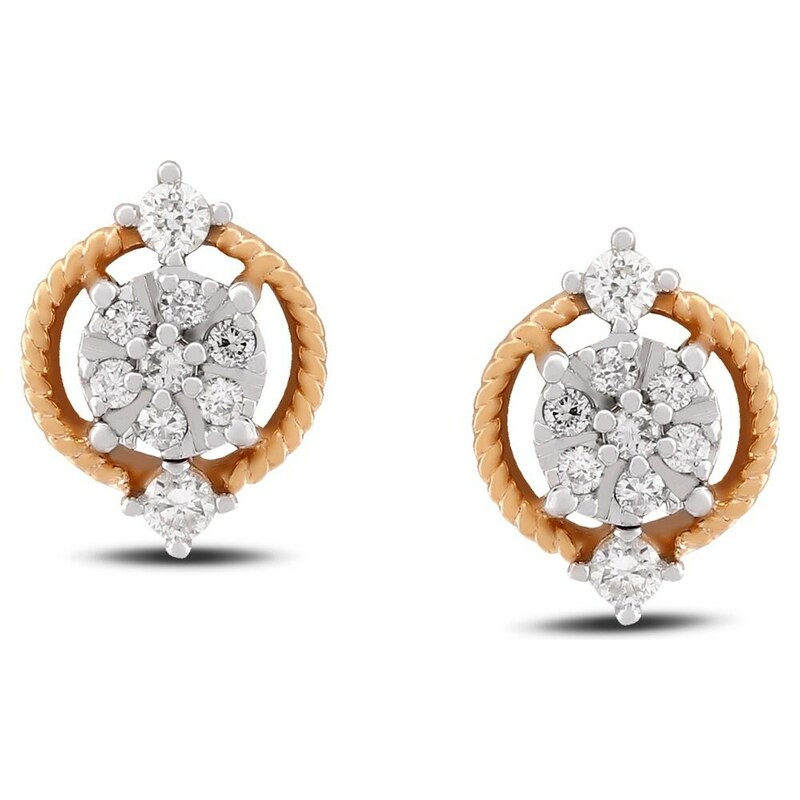 The circle is embellished with diamonds. Some of the diamonds are secured in prong settings, while the centre of the circle is adorned with diamonds secured in cluster settings. The diamond-studded sections are rhodium-plated to enhance the luster of the diamonds. Ensuring comfort to the wearer, these high-polished stud earrings are fitted with screw posts and secured with baby Bombay screw closures.